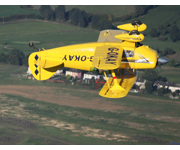 Welcome to EvansAbove, the home for Steve Evans and his Pitts Special aeroplane, G-OKAY. 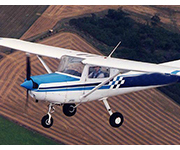 The purpose of this web site is to provide information on learning to fly and flight training. The Plane and it's owner are also available aerobatic displays throughout the UK along with Aerobatic experience flights. 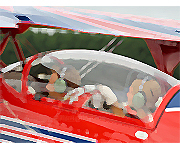 If you are interested in "Specials" in particular or aerobatics in general, I hope you will find this web-site useful. As for the name? Well after having heard all of the "Evans" jokes under the Sun, it just seemed appropriate to name my enterprise after one of them ! If you have any questions about any of the above, all Steve now on 07884-236873 for a no-obligation, discussion of your needs.